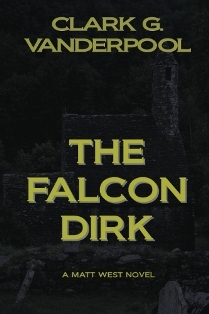 Featured Indie Book on Indie Author News: Mystery/Adventure The Falcon Dirk by Clark G. Vanderpool. The book The Falcon Dirk is a mystery/adventure about a missing friend suspected of murder and cryptic clues to a priceless artifact that may lead to his whereabouts. Former naval intelligence officer, Matt West, who now deals in rare books and freelances as a corporate troubleshooter must find an old friend from his hometown who has disappeared and is suspected of murder. The investigation leads to clues about an ancient artifact that seems to be at the heart of the trouble. What starts as a means of finding his friend becomes a desperate search to obtain the artifact and save lives. The dangerous quest takes Matt and his companions from Memphis to rural Kansas to the ancient ruins of Ireland. Others are also after the treasure and will stop at nothing to get it. Clark G. ("Dutch") Vanderpool grew up in rural Kansas, joined the Navy during the Vietnam war and eventually made his way to Tennessee. After six years in the military, he got a degree in Technical Education from The University of Memphis before working in defense contracting, the insurance industry, and as a financial advisor over the years. 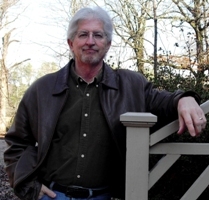 In additional to writing fiction and blogging, Clark is an amateur songwriter and sometimes a cartoonist. He is married and lives with his wife in Somerville, Tennessee outside of Memphis. They have three sons who all live in the Nashville area. Clark G. Vanderpool about his book: "The Falcon Dirk has been [...] well received by readers [...]. For every positive review on Amazon, I have had numerous emails and personal (unsolicited) comments about how much people have enjoyed the book and are waiting for the next one. I believe the only thing holding it back from a wide readership is the exposure that is so difficult to come by for Indie Authors. [...] It has a good deal of interesting historical detail in the plot and is just a good read."